Halloween Time returns to Disneyland this Friday, September 12, and Disney has announced new merchandise for the holiday. A dated Halloween Time 2014 pin debuts Friday and pin collectors will be able to pick up the Mickey’s Halloween Party pins, Halloween Screams pin, and an Annual Passholder pin with the Hitchhiking Ghosts on September 26. 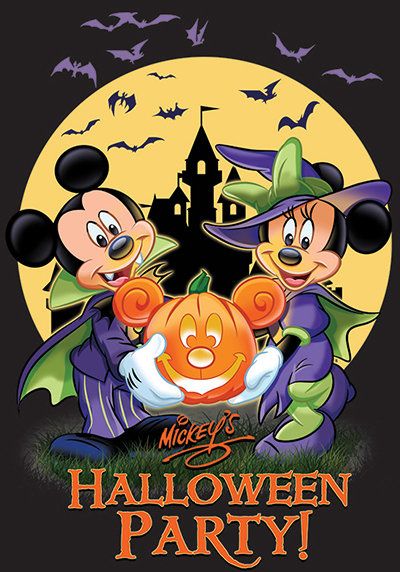 The first Mickey’s Halloween Party for this year is also on September 26, and the logo design for the party is similar to what guests at Walt Disney World will find on the Mickey’s Not-So-Scary Halloween Party merchandise. 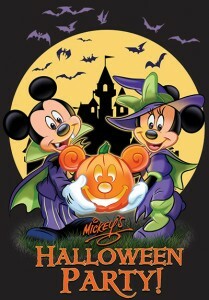 Other Disneyland merchandise includes Mickey’s Halloween Party T-shirts in kids, ladies, and adult sizes, and a zip up fleece. Disneyland guests can find the Mickey’s Halloween Party merchandise at Disney Showcase, Emporium, Pieces of Eights, Pioneer Mercantile, and The Star Trader. Mickey’s Halloween Party is scheduled for select nights through October 31.